You can cycle all year, even in the snow. But here are key safety tips for winter bicycling. Biking in the winter. Photo by Dave Schlabowske. Biking in the winter is quite easy, if you are equipped with the proper knowledge. As long as you have access to well-maintained bike lanes or regularly plowed roads, there’s no reason you can’t continue to bike to work, school and around your neighborhood all year. The only thing you must do is prepare sensibly. Follow these winter biking safety tips and keep peddling all winter long. Follow the leader— Follow the plow. Bike trails should be regularly plowed in most city areas. If not, ride in the tire tracks of other vehicles. Just be sure to act predictably so that motorists and pedestrians always know what you’re about to do next. Dress smart— Because cycling is vigorous exercise, keeping warm isn’t a huge concern. In fact, you’re more likely to overheat. The most crucial thing is to stay dry and keep the wind off your skin. Dress in layers and wear fabrics that wick moisture away. Ride steady— Slow down and stay loose on slippery stretches. You should brake only on the rear wheel to avoid spinouts and be prepared to take your feet off the pedals if the bike starts to swerve or slip. Light up— Cars tend to be less aware of riders in the winter, especially when it gets dark. Ride defensively and do everything you can to make yourself visible. Use reflective tape and clothing and add reflectors and lights to your bike and belongings. Take the lane— In the winter, one of the most dangerous places to ride is right next to the curb, due to snow buildup and debris like glass and metal from other cars. Ride just off the curb and in the lane, if necessary. Cyclists have the right to take the entire lane on city streets when it’s not safe to ride on the side. With these safety tips in mind, avid cyclists can keep riding year-round with little interruption. 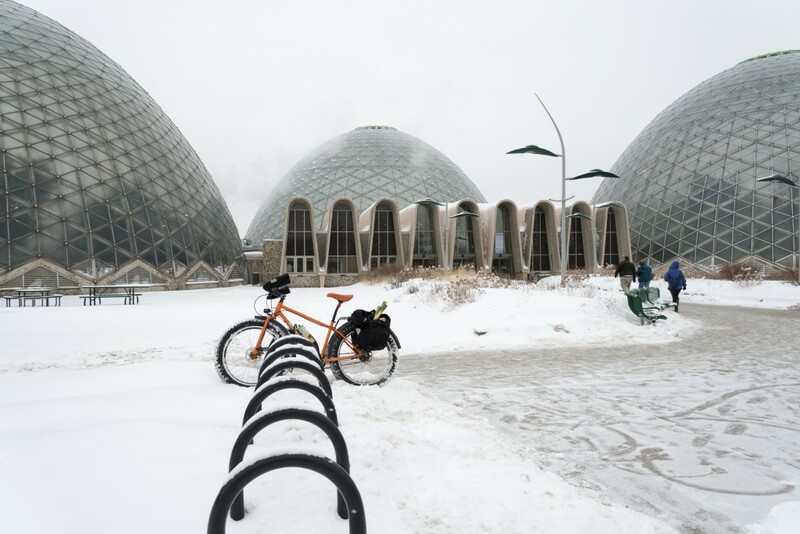 Remember that in Milwaukee, there will likely be cold days and snowstorms that will prevent you from biking. In those cases, do the safe thing and utilize other forms of transportation for the day. Just remember, whether in sun or rain or snow, cyclists have the right to safely share public streets with other motorists. Show your support for bicycling safety with a FREE Watch for Cycles sticker from Hupy and Abraham HERE. And, if for any reason you or a loved one has been injured in a bicycle accident, please contact our experienced personal injury attorneys today. Call 800-800-5678 or start a live chat with us anytime at Hupy.com.